Be the first to share your favorite memory, photo or story of Sister. This memorial page is dedicated for family, friends and future generations to celebrate the life of their loved one. Sister Mary Hornung, CSA, baptized Marilyn Hornung, died peacefully January 25, 2019, at St. Francis Home in Fond du Lac, WI. Marilyn was born in Sauk City, WI, on March 13, 1934, to Edgar Hornung and Verna Guethlein Hornung. Marilyn was an only child. Marilyn entered St. Agnes Convent in 1953 and attended St. Agnes High School, receiving a diploma in 1955. Sister Mary made her profession of vows in the Congregation of Sisters of St. Agnes on August 15, 1957. Sister Mary received a BS in Education from Marian College of Fond du Lac, WI, and an MS in Education Administration from Marygrove College, Detroit, MI. Throughout her life, Sister Mary was committed to ongoing professional development in elementary and religious education as well as in pastoral ministry. Having taught at all grade levels in elementary schools for 23 years, Sister Mary served as a principal for an additional 11 years. 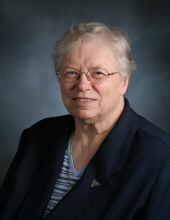 Following her years of service in parish schools in WI and OH, Sister Mary was a Director of Religious Education from 1991-2004 in Beloit, Madison and Port Washington, WI. Until her retirement in 2011, Sister Mary was involved in pastoral services at St. Andrew Parish, Verona, WI. Sister Mary was preceded in death by her parents Edgar and Verna Hornung. Sister Mary is survived by cousins, friends and the Sisters of St. Agnes, with whom she lived, prayed and ministered. Visitation for Sister Mary Hornung will be held January 30, 2019, beginning at 9:00 a.m. at Nazareth Court and Center, 375 Gillett Street, Fond du Lac, Wisconsin. A prayer service will take place at 11:00 a.m. at Nazareth Center Chapel. A Mass of Christian Burial will be at 2:15 p.m. on January 30, 2019, at St. Francis Home Chapel, 33 Everett Street, Fond du Lac, Wisconsin. Father Ken Smits, Capuchin, will preside. Burial will take place at a later date at St. Joseph Springs Cemetery, Fond du Lac. Advancement Office, 320 County Road K, Fond du Lac, WI 54937. The Sisters of St. Agnes are grateful to the nurses and staff of Nazareth Court and Center/St. Francis Home and the staff of Hospice Hope for their care of Sister Mary in her last years. "Email Address" would like to share the life celebration of Sister Mary Hornung CSA. Click on the "link" to go to share a favorite memory or leave a condolence message for the family.